“Federal Policies and Opportunities for School-B​ased Health Centers-For Sponsors”: explains health reform concepts, like patient-centered medical homes and accountable health communities, and why and how SBHC sponsors should get involved in their implementation. The report also describes the Every Student Succeeds Act, the clarification of the Free Care Rule, and the relevance of these policies to SBHCs. “Federal Policies and Opportunities for School-Based Health Centers-For Policymakers”: introduces the SBHC model of health care delivery to policy makers. The report describes the strengths of SBHCs in meeting the physical and behavioral health needs of children and adolescents and explains how they can take part in federal health and education programs. 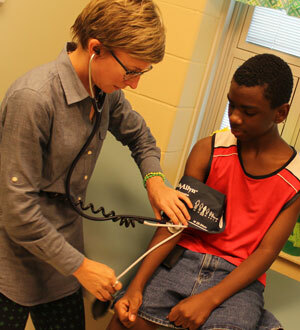 “Health Policy Brief, Connections Between Education and Health”: This brief focuses on how Ohio schools are providing health services to students and specific evidence-based policies and programs that have demonstrated both health and education benefits. A two-page executive summary and a summary of school health service requirements under Ohio law also are available. “Introduction to School based Health Centers” webinar: This is the PDF of the slideshow used in the free webinar held on May 31, 2018.